(2) The inverter transforms the DC power into AC electricity for household needs. 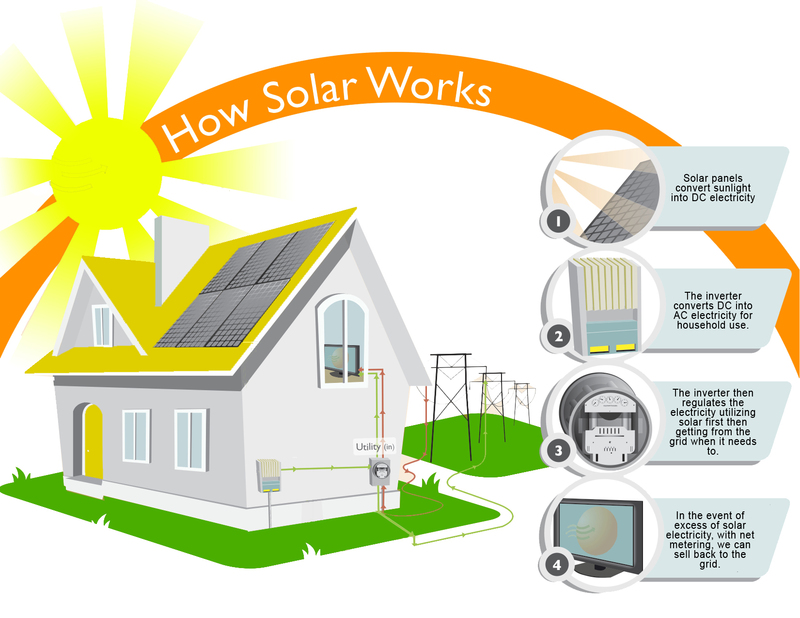 (3) The inverter regulates the electricity utilizing solar first then getting from the grid when it needs to. (4) In the excess of solar electricity, with net metering, we can sell back to the grid.